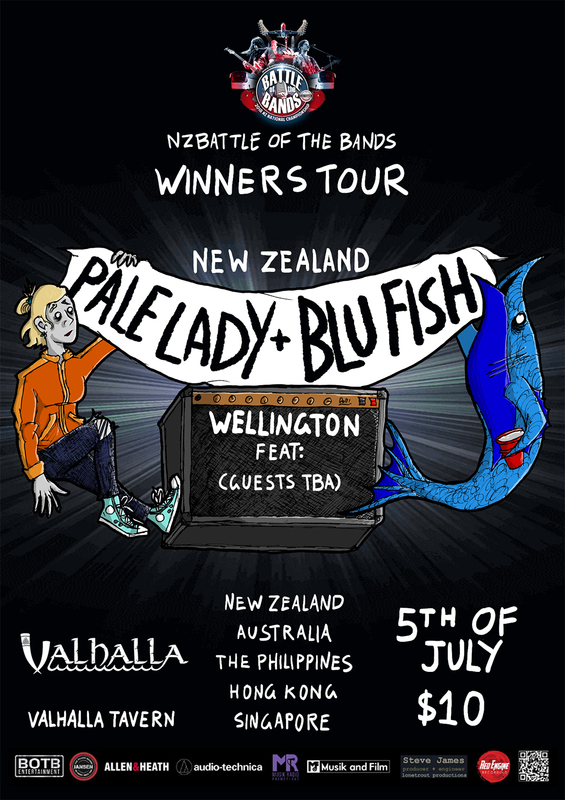 Pale Lady & Blu Fish are back from tour! Here's the homecoming Wellington show. Both winners of 2018 and 2017's Battleofthebands competition, they've just been touring Australia, The Philippines, Hong Kong and Singapore. Come see them at Valhalla! Special guests will be announced soon!